To sunscreen or not, that is the question. I certainly love the Vitamin D, but I despise sunburns! So, what's a girl to do? There are many, many chemicals in commercial sunscreen. I made this with organic oils and a non-nano zinc oxide, giving an SPF of 30. It's silky and light and smells great! I strive to keep allergens and reactions to a minimum for my customers. In keeping with this theme, ingredients will always be listed! 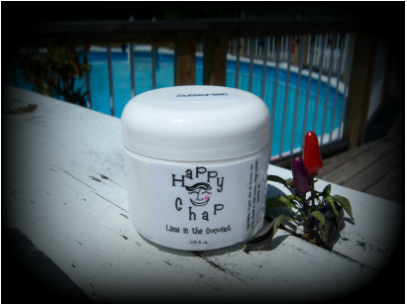 Happy Chap Sunscreen is handcrafted from: organic olive oil, non-nano zinc oxide, Vitamin E, shea butter, mango butter, essential oils. I am happy to make a custom order if there are any ingredients that you know will be bothersome to you! All my products are made gluten-free in a gluten-free home. Sunscreen is vital for those of us who spend much of our time out of doors during warm weather. This sunscreen is SPF of about 30. There are only 10 options on the button below, so please note in the custom order section if you want a different scent. 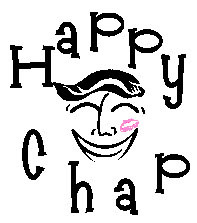 Pricing is $5.00 for one 2 oz. container.